Japan's Mitsubishi built ATD-X experimental stealth fighter has emerged! This technology demonstrator, known within the Japanese Ministry Of Defense as the "Spirit of The Heart," is set to fly sometime later this year. Is This Japan&apos;s Secret Stealth Fighter? 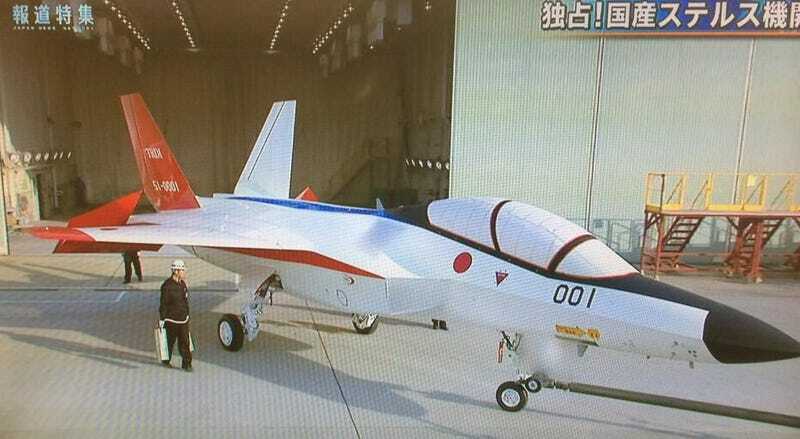 Japan hopes the Advanced Technology Demonstrator eXperimental (ATD-X) will lead to a larger high-performance production aircraft with low-observable (stealthy) qualities, designed and built indigenously sometime in the next decade. New technologies that the ATD-X will test include a second generation AESA radar, advanced "fly-by-fiber-optic" flight control system that can compensate for battle damage and control surface failures, an advanced ESM and ECM suite, thrust vectoring and locally developed high-thrust turbofan engines to name a few. pictures via twitter, Japanese media.